If, like me, you automatically purchased this book thinking you'd get a Harry Hole adventure, you quickly found out you were in different territory altogether. This is a stand alone book and I don't want to turn ANYONE off from it by telling you to run over to Wikipedia for a quick glossary of characters from yes, THE Macbeth if, also like me, you haven't read or seen the Shakespearean version for 20 years. Getting the names and the great plays events shored into or back into your brain will heighten your enjoyment of this novel. 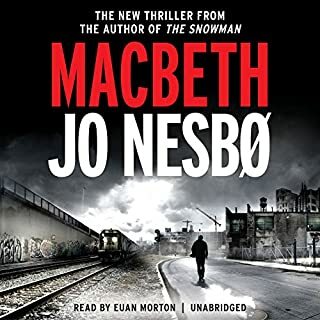 I listened to the first half thinking this is quite the tour de force, in that Nesbo has taken Macbeth into the (semi-) modern world of police and politics. The book is set in the seventies, far enough away from 2018 for a little dreamtime smudge. 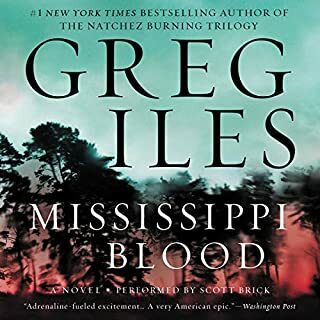 Around the time I reached the middle of the book I found myself hoping Nesbo would switch things up just to throw in a plot or character surprise, but then...I didn't care one whit if he did. Nesbo so successfully builds character, dramatic tension and more than anything else a mood that permeates the entire listening experience that I am simply blown away. The Narrator is outstanding. Writing this book, maybe especially if you're already an international bestseller of a very different oeuvre of books from the Shakespearean took a lot of guts. But to do it incredibly well, took true artistry. I remember long ago a painting teacher of mine telling me that there are painters, and there are artists. If there's a similar division among writers-- that there are writers and there are artists, Nesbo has put a stake in the ground, he is an artist indeed. This book is ok but not exceptional, I'm puzzled by the early, over-enthusiastic reviews. The story and characters are predictable, and I'm sorry but saying "that yacht has sailed" instead of "that ship has sailed" does not fix a cliché! Anyway, it's okay but not superb, however I also could see where the series may steadily improve since this is a freshman effort. It's not terrible but definitely, definitely not a five star story. 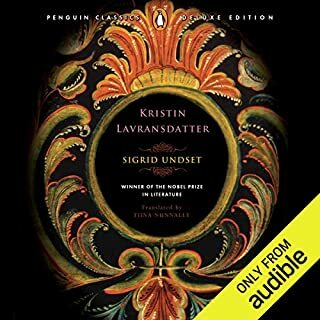 I tend to buy super long "listens" on Audible as I feel like i'm getting my $$ worth and when I saw this title hyped on Audible's home page and also saw that this book (which is really a trilogy) was a Nobel prize winner, I flew into it without any more forethought. After listening for an hour I went back to look when the book was written-- the 1920's!! How strange! The language, though of course in translation, is entirely accessible. Then I went back again to see when the book took place-- the 1400's!!! But the emotions, the situations were so contemporaneous, how could this be? It's simply this, that the book is timeless. It may have been written almost a hundred years ago about a time hundreds of years ago but the clarity of emotion, the maturing of not just one but several human sensibilities is portrayed flawelessly. This isn't a page-turning, ear-burning read but I know this is a book that will stay with me for far, far longer. Honestly the one word to describe thee book is "timeless" but I'm worried that this particular word sounds hackneyed, boring and dishonest. It is not. Perhaps another way to say it, is that the book redefines what "timeless" in a novel really means. Oh-- and the narration is SUPERB!!! In Police - the last novel featuring Jo Nesbø's hard-bitten, maverick Oslo detective - a killer wreaking revenge on the police had Harry Hole fighting for the safety of the people closest to him. Now, in The Thirst, the story continues as Harry is inextricably drawn back into the Oslo police force. A serial murderer has begun targeting Tinder daters - a murderer whose MO reignites Harry's hunt for a nemesis of his past. Normally, I love Jo Nesbo. I was a bit worried that Harry Hole had his life too much together now to make for a satisfying Harry Hole read, but not to fear, Nesbo has spun a great tale without sending Hole back into the depths of personal-life-misery. Planting truly effective Red Herrings is an art form and makes all the sense to me that a fine Norwegian author would excel in all things herring, I was taken by surprise more than once. 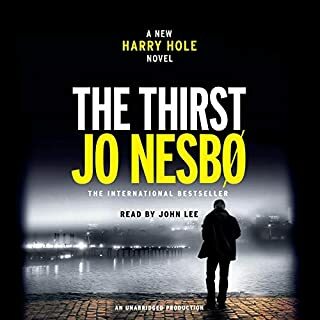 I can never stop listening to the Nesbo books until work/necessity calls and this one was no different, another excellent turn for Harry Hole! I don't think I've ever listened to a book that screamed so loudly for editing. Every other sentence the author says something like -- " I had an epiphany," or "my heart stopped." The histrionics are non-stop and so they lose all their power. The writer is the ultimate example of telling rather than showing, he tells, retells and tells again and everything is heart-stopping and amazing which means...nothing is. I wasn't sure how to rate the performer because he was given what he was given to work with. Rarely do I listen to a book when I think, what's going on, is the writer trying to boost word count? This would have been a much more elegant, eloquent and impactful book had an editor taken a HUGE knife to it and whacked out half, and then made sure that 95% of the histrionic statements were axed. book is fine but author shouldn't have narrated! I've always meant to read this book but haven't so finally listened. It's a fine book but I think the author made a mistake in narrating it herself. Hers is a Southern, female voice and the narrator is a laid back Californian male-- I was quite distracted by hearing a narrator who was nothing like a laid back Californian male. 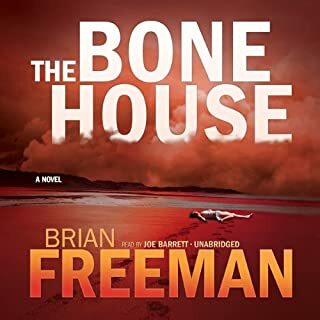 I can see where an author knows best inflection, what they mean for the book to "sound" like but in this case I'd have used an actor who "fit" the narrator. Otherwise all good! Don't Resist. Get this one! I knew this was a popular read/listen, that people raved. But I'm sorry, just the title, the book/audio cover....no appeal. Good thing I finally listened to popular sentiment. This is one of the few books I listened to twice. If any of listener/reader has ever had a relationship with a man or a woman (dad, father, brother, son, mother, daughter, sister, friend...) in other words EVERYONE you will love this book. And you will laugh out loud and sniff or cry depending upon what your emotive style is -- you will love this book. If you don't get the first few chapters hang with it, listen to it, then listen again. I don't usually tear up but I saw my Dad in so many places/phases of this book. 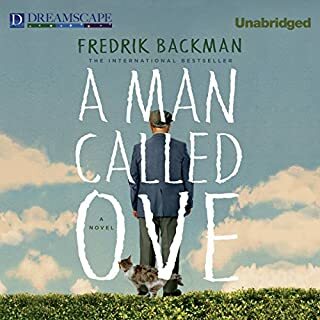 Thanks, Mr. Backman for making my month and thanks Mr. Newbern for bringing this book to life! The performer was just fine, definitely the writer's issue, not the performer's! In 1914 collisions between motor cars and horse-drawn carriages are an everyday occurrence on the streets of Paterson, New Jersey. But when an out-of-control driver smashes into a buggy driven by Constance, Norma, and Fleurette Kopp, their lives change forever. Constance, the oldest, demands payment for the damages but quickly realizes that she is dealing with a madman. The Cliches didn't happen! Cool book! I worried about this one as I listened that *this* would happen or *that* would happen - not going to expound on the "this and that" cause I don't want to ruin the experience for others. 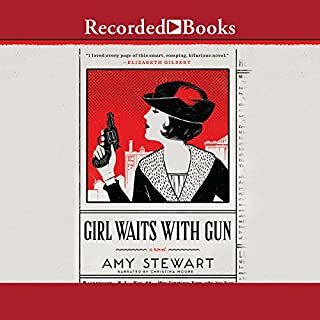 But this book was cool, gave a great glimpse into the life of smart, single women in 1914 -- excellent historical fiction, a bit of suspense, but what was really fun for me is that it remained entertaining and didn't lapse into cliche. 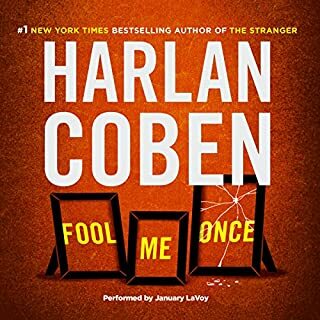 Loved it, fun to listen to, entertaining, and believable!! a famous writer famously said write dialogue quickly because that's how people speak! 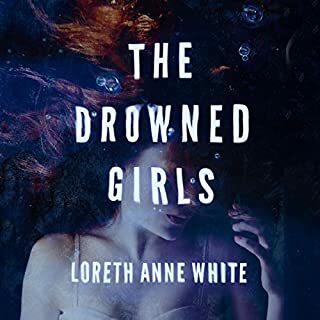 This book is labored, I had a sense that the writer was trying to extend the length of the book, so this book is less "thriller" and more slumber. 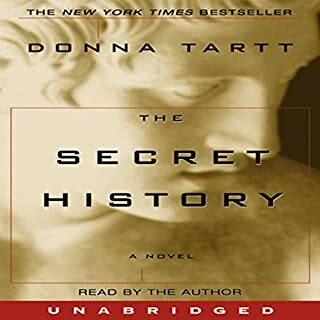 I rarely leap to the last few chapters of an audio book to see if I will be surprised or pleased but I did with this one. The writer has some good bones in the story here (haha) but I really think fleshed out TOO much. Second point- when a book has you early on saying "come on, characters who are alleged to be smart can not be this consistently dumb," the writer has done a poor job with characterization too. At least it was a daily deal!